Labour leader Jeremy Corbyn used the first NEU annual conference to announce plans to scrap SATs for seven- and eleven-year-olds. Speaking at the event in Liverpool, he said: “I can give you this commitment: the next Labour government will scrap primary school SATs for seven and eleven year olds. “And we’ll scrap the government’s planned new baseline assessments for reception classes too because they can’t give accurate comparisons between schools when pupils have such different backgrounds. “Instead we will raise standards by freeing up teachers to teach. “Labour trusts teachers. You are professionals. You know your job. You know your students. 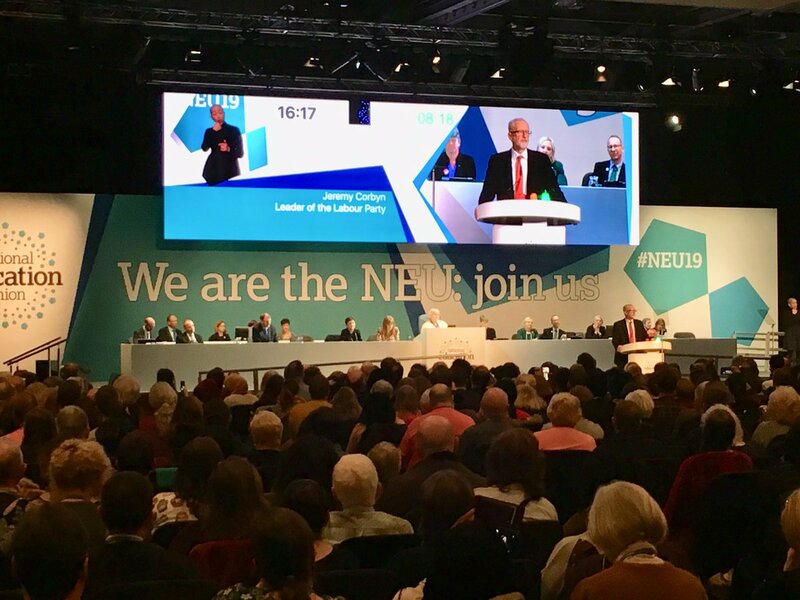 His speech was praised by NEU joint general secretary Dr Mary Bousted, who said: “It is good to hear a politician who understands the depth of the educational crisis, and the urgency of finding solutions to it. “Jeremy Corbyn paints a picture that will be instantly recognisable by teachers and parents: the impact of poverty and austerity; the harm done by our current system of testing.